The Upward Trend Blog: Knotty Hair Salon - Experienced Stylists Who Cater to All! 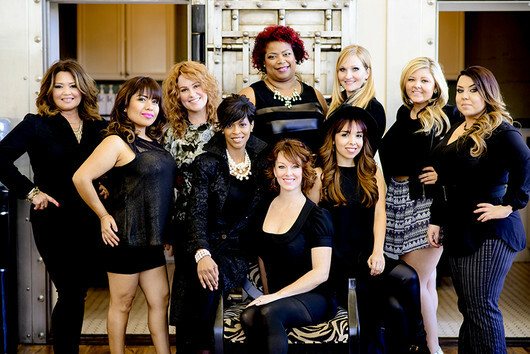 Knotty Hair Salon - Experienced Stylists Who Cater to All! Knotty Hair Salon is located in historical Suisun City. We are directly across from the beautiful waterfront. In 1927, this building was home to the Bank of Suisun. In 2009, Justin and Emily Giangrasso (owners) transformed this charming old building into a lovely salon with a friendly atmosphere. Clients are now able to enjoy a relaxing shampoo in the chandelier adorned "Lather Room." At one time this room was the vault of the old bank. Still standing are the vault doors with all of their character and interest. Knotty Hair Salon has experienced stylists who cater to all. We offer a variety of services and specialize in many different areas. We highly recommend scheduling your appointment in advance, but walk-ins are always welcome! At Knotty Hair we want our clients to leave the salon with a confident smile. Whether you desire a classic look or a swanky style, our artistic team will cater to your needs. We always recommend using professional hair care products to ensure the longevity of your look and the health of your hair.